While area rugs provide a look of elegance and class, they are also very prone to damages and quickly become worn out if not properly cleaned, maintained, and repaired. The fringes, in particular, are very susceptible to impairments because of their delicate nature and fine material. 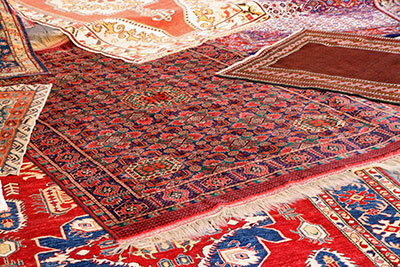 Heavy furniture and foot traffic can cause tangles or even tearing, causing your area rugs to look dull and damaged. To keep your rug and its fringes in pristine condition, you not only need to clean it regularly but you also need to perform repairs when necessary. Area rugs are stunning pieces of décor that enhance the style of your home. 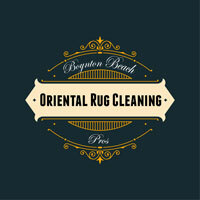 At Boynton Beach Oriental Rug Cleaning Pros, our team will save you the hassle of attempting complicated repairs yourself, and instead we’ll handle the inspection and complete restoration of your area rug. Using the wrong repair techniques or event the wrong equipment can potentially lead to further damages to your rug, but our rug professionals are trained in the appropriate methods that can safely and efficiently repair your rug. After our initial inspection of your area rug, we will outline a custom repair process designed specifically for your individual rug. Our team operates with a wealth of knowledge and years of experience, enabling us to understand and incorporate your rug’s details (materials, weaving, fabrics, colors) into the repair process. No matter the extent of repairs needed, our rug cleaning pros will work hard to restore your rug to its former state, mending its frayed fringes and cleaning out any and all apparent stains. There are various other types of damage that might happen to your area rug and its fringes, and unfortunately these damages can occur quite frequently. With the help of our trained team of repair specialists, we’ll not only repair the current damages but we’ll also work to improve the condition of your rug to increase its durability and longevity. After repairing your area rug, we’ll also look to give it a thorough cleaning, removing all dust, dirt and grime collected in the rug's strands as well as any liquid spills that are undermining its colors. The exact method of fringe repair will vary based on the severity of the damage. If the fringes are merely frayed, 'simple' reweaving should do the trick—our technicians are expert weavers and can handle even the most minuscule patterns of fabric without issue. If fringes became separated, we'll have to knot them back together using the original technique—again, our team's expertise will help reattach the fringes through the same method that was used to place them on the carpet the first time around. 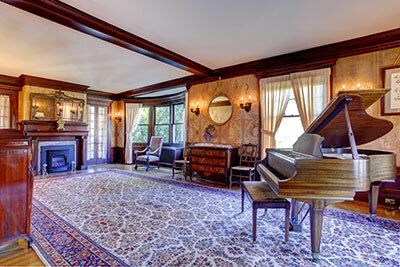 It's worth noting that, in rare scenarios, we might need to order threads or fabric by mail in order to perform seamless repairs on true exotic pieces—if you'd like to save time and effort, it's best to call us and explain your area rug's origin, materials and issues in detail to one of our team members at Boynton Beach Oriental Rug Cleaning Pros.